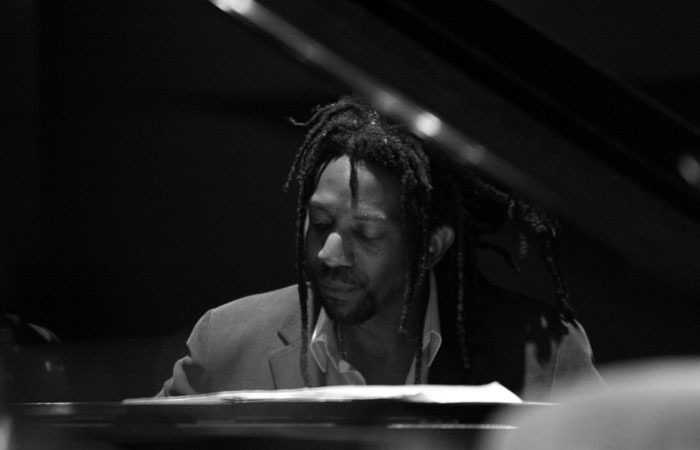 It is three days before my scheduled interview with the musician and pianist Elio Villafranca. I have long been fascinated by his ferocious talent—indeed his genius—not only as a pianist, but also for the depth of his musicianship. Mr. Villafranca is subsumed by the Afro-Caribbean tradition. His knowledge and love for the music of his ancestors has led him to acquire a deep knowledge of the history not only of Cuban music, but also of its African roots as well. His music has been informed by a unique perspective of the tradition to which he is so inextricably linked. He performs like a man possessed. His music bristles with genius. He continuously takes the road less travelled. As a result his performances unfold with dramaturgy that is so new that listeners and audiences are often left breathless… even speechless. And understandably so… you become drawn into his performances… his virtuosity is riveting and once you are sucked in his brilliance knocks the wind out of you as his takes possession of your very soul. I too am mesmerised by Elio Villafranca. 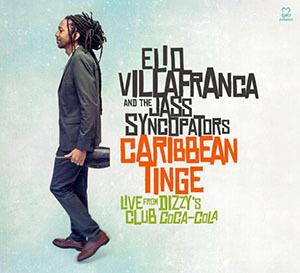 I have long since been studying the Afro-Caribbean tradition and continue to be stunned by the fact that as I listen to the music of Elio Villafranca I constantly discover something new. As a performer—live or on record—he has certain qualities that are very special, aside from the fact that he has a sovereign “voice” that is instantly recognisable from the first note he plays. That is always necessary for a musician approaching greatness. Sometimes it takes a few lines to identify a pianist and his compositions. 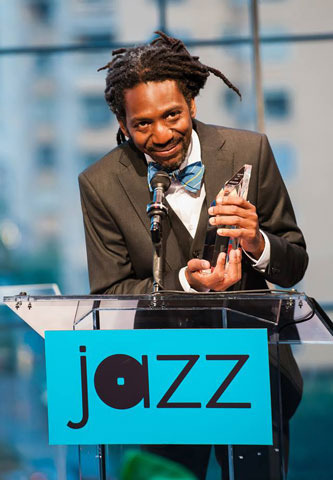 With Elio Villafranca it takes a few seconds. His technique is unassailable; his work distinctive. People talk of him today in awestruck tones. His “voice” has grown as his career and technical accomplishment has progressed as has the brilliance of his writing. And he has mastered the higher reaches of the Afro-Caribbean tradition like few of his peers. There is an intensity to his performance that marks his music-making with a spiritual dimension. This glows through in his work. He thrills with his virtuosity, his dynamics and the colour palette that he uses. This is a sheer gift. Nothing can make those particular qualities and the thrill of listening to him bring all of it to bear in expressions of wounded pride, hurt, sorrow and unfettered joy. The experience is literally coruscating. When we speak, I am eager to understand the significance of his latest record, the Caribbean Tinge and even more than that, the intriguing name of his latest ensemble. I discover that it is something he has thought of and approached in line with the tradition to which he sees himself belonging. He sees himself, not only as steeped in Afro-Caribbean music, but in Jazz as well. I get my cue from this. I ask him where the title of his band, and the music on his recording, Caribbean Tinge come from. His answer tells me what I sense: that he digs deep into Jazz as well. He goes back right to Jelly Roll Morton and early Duke Ellington (Serenaders aka “The Coloured Syncopators”)—a combination of “Jass” and “syncopation”. This is clear from the rhythmic majesty of the music. But deep into the tradition that it is, it is far forward-looking. It brings alive the unfettered celebrations of Congo Square and the streets of Cuba at Carnival time. It revels in the joyous music and dance of free men. It swings with rhythmic intensity and soars with melodic and harmonic invention. And it sounds authentically “Jazz” and authentically “Afro-Caribbean” as well. 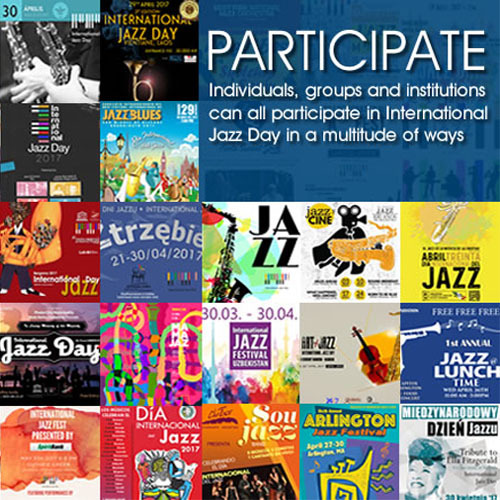 And it is not only the compositions, but the composition of the very musicians who perform them.